Release Date: November 23, 2011 – U.S.
Martin Scorsese's "Hugo" may not feature gangsters and guns like many of his other films, but it still bears every bit his distinct imprint. In fact, it may be his most personal work yet. 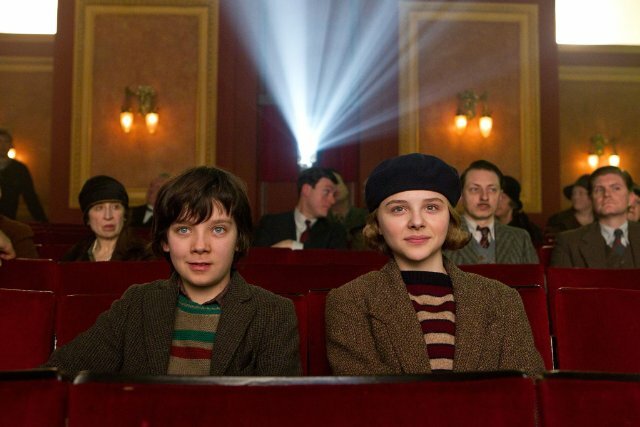 The movie begins with a little boy, Hugo Cabret (Asa Butterfield), running through a train station in 1930s Paris. Shortly thereafter, he is caught stealing mechanical parts from the station's toy shop. It isn't the first time. 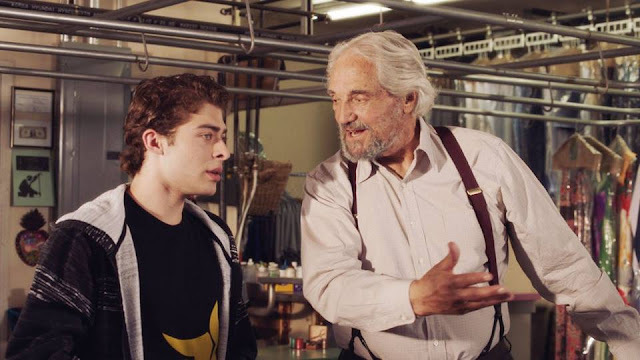 The shop's crotchety owner, an old toymaker named Georges (Ben Kingsley), has lost all patience with the lad's thieving ways. Hugo tries to plead his case, insisting that he needs the parts to fix something he and his late father (Jude Law) were working on. He shows Georges a sketchbook illustrating various projects. One of them is of an automaton (a mechanical figure). Georges has a shocked, irrational, uncharacteristic reaction to the sketch and frantically snatches the book from the boy's hands. Hugo has to get it back! Otherwise, he won't be able to repair the automaton, which he's convinced somehow contains a message from his deceased dad. Desperate to retrieve the last link to his father, the orphaned boy follows Georges home. There he meets the old man's goddaughter, Isabelle (Chloë Grace Moretz). Seeking the type of adventure she has only read about in stories, she agrees to help Hugo get the sketches back from "Papa Georges." A friendship blossoms between the two children. She introduces him to books. He talks about his love of the movies. It was a passion he and his father shared. The movies were their "special place," he explains. Hugo lights up when he describes the first film his father ever saw – a dream come true depicting a rocket flying into the eye of the moon. Cinema buffs and historians will immediately recognize the reference. For everyone else, it is all revealed in due time. That's just the beginning. All of these disparate elements of course do come together in a wonderful, beautiful way. There's an entire subplot not revealed in the previews that I don't dare spoil (though it seems that everywhere else – including IMDB – is intent on revealing it). The trailers don't show much of anything. They make "Hugo" look like a light, insubstantial kids' movie. It's anything but. Of course, this misdirection is likely intentional. It's best to go into the film with as little prior knowledge as possible. The performances are outstanding, especially Ben Kingsley's. With recent appearances in projects of a dubious nature (such as "Bloodrayne"), his presence in a movie is unfortunately no longer any guarantee of its quality. Thankfully, he's back in top form here. The entire cast is amazing – the child actors especially so because they have to carry the entire production on their little shoulders – but Helen McCrory (Narcissa Malfoy from the "Harry Potter" movies) as Mama Jeanne and Sacha Baron Cohen ("Borat," "Bruno") as the orphan-imprisoning Station Inspector deserve mention as well. Christopher Lee also shines in a small role as a kindly librarian. Emily Mortimer, Richard Griffiths, and Frances de la Tour round out the cast. But the best supporting role belongs to Michael Stuhlbarg. He plays a historian who both teaches and learns from the kids. The use of 3D is a controversial gimmick that's applied ineffectively in most cases, but in the hands of a master like Scorsese, it's a work of art. Amazing effects don't make a movie though. The real heart of this film comes from its moving dialogue and tender human moments. My 3D glasses fogged up a time or two (or ten). Magical. Wondrous. Enchanted. The reason we go to the movies. All of those describe "Hugo." It was more than just a film for me. It was an experience. One that touched me deeply.